People wanting to travel to the Great Barrier Reef will get a three-dimensional look at the Reef sites they can visit with an innovative augmented reality brochure launched by Cairns operator Passions of Paradise. Passions of Paradise Chief Executive Officer Scotty Garden said the technology had been developed by Cairns Creatives to provide an interactive experience potential customers that travel agents could use at tour desks. “A free smartphone app is used to trigger a video overlay of the brochure images making them come alive to reveal the marine life at several of the sites the Passions of Paradise catamaran visits,” he said. “A 3D model of the 25m high-performance Passions catamaran can be explored and there will be insider tips on enjoying the Great Barrier Reef. Cairns Creatives owner Ben Lewis developed the app and the three-dimensional modelling while designing the brochure for Passions of Paradise. A keen diver, the graphic designer wanted to use the wow factor of the Great Barrier Reef as a selling tool for travel agents. 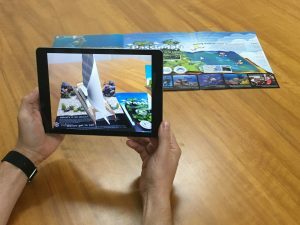 “I like playing with new technologies, animation and underwater videos so the three came together when I was wondering how to make the Passions brochure more useful for people deciding which Reef trip to take,” Mr Lewis said. 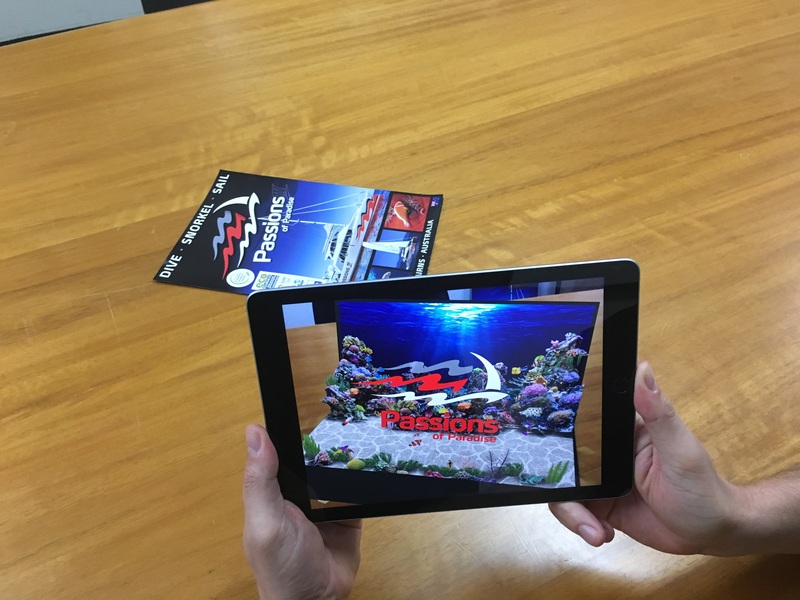 “Users download the Passions AR app from App Store to enhance the brochures and business card content which is then displayed as 3D models on iOS devices, appearing to sit directly on the printed content. Mr Garden said the brochures would be distributed in Tropical North Queensland from April 1 and would be launched at the Australian Tourism Exchange in Adelaide on April 15. 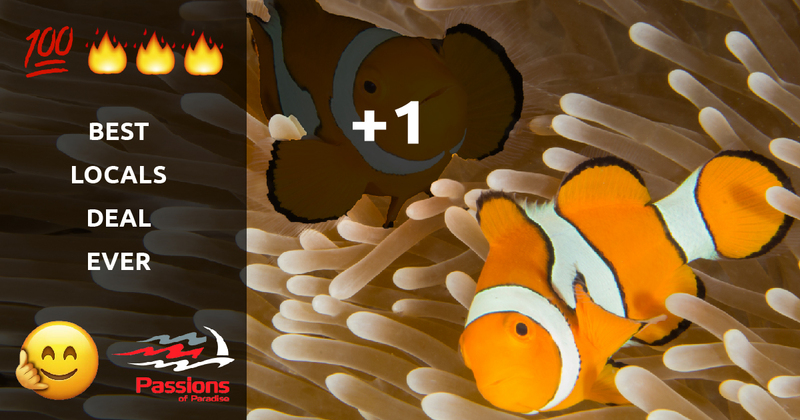 To find out more or to book your Great Barrier Reef experience, click one of the buttons below. © 2019 Passions Of Paradise.